Still have the intake kit for sale if anyone is interested. $80 ono, pick up only because AusPost won't ship anything that big. Also up for sale is my intake set up as a whole. 75mm stainless steel intake with airbox lid, BA snorkel (similar to Tickford snorkel) and a K&N air filter. 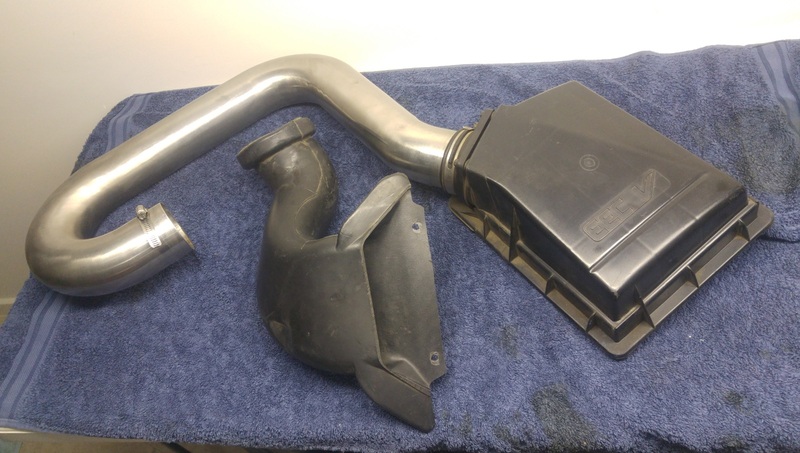 You will need to buy a silicone hose/tube to fit between TB and SS intake, mine is all but stuffed so couldn't be salvaged. It will come with hose clamps to suit the TB/SS diameters. Have 5 x 17" AMG Quakes with Good Year Assurance Triplemax tyres, 2 have around 75% tread, other 2 have 85% tread and the single wheel has around 10-15% tread, used as a spare. Used to be fitted to my EL, but as I don't have it anymore, it is just collecting dust. All tyres were fitted and balanced at my local Beaurepairs. Pick up preferably, but can deliver for a small fee if you are in the area, located northern suburbs of Victoria. PM me if you need more details. Last edited by phongus on Mon Apr 02, 2018 2:45 pm, edited 6 times in total. $350 for the lot, still firm on the camshaft set for $300. Still have intake up for sale and now have added 17" rims and tyres.